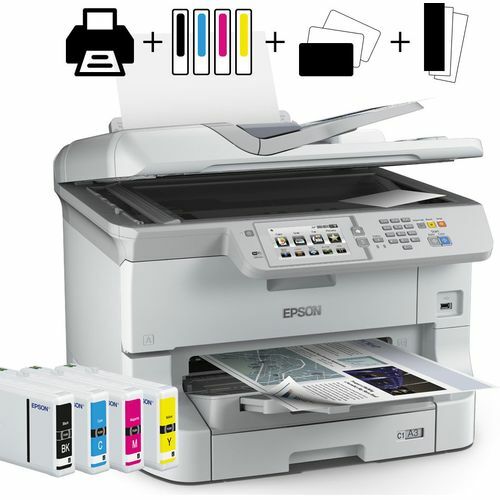 The Epson WorkForce Pro WF-8590DWF offers 4-in-1 functionality and helps to remove the headache of daily document handling tasks from todays busy offices that have a heavy reliance upon printing, copying, scaning and fax tasks, Epson has built this printer to offer uninterrupted support. 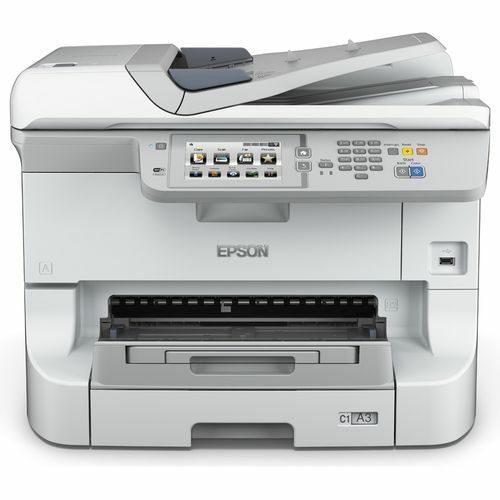 This printer has been designed to reduce downtime and waste with a complete business printing solution. 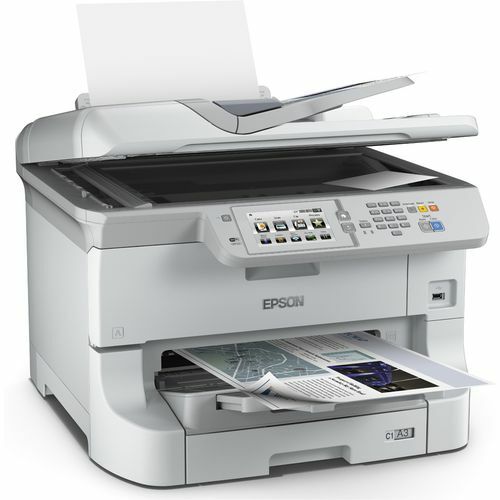 Users enjoy total control with automatic double sided printing, scanning and faxing from a single multi-purpose machine. Double-sided printing is available in both A4 and A3 to help you reduce your paper usage by up to 50% whilst helping you achieve business quality results every time. Both Colour and black & white prints are produced at an impressive 34 pages per minute so your business wont have to pause for a single moment whilst waiting for your valuable documents to be produced. A smartphone like 12.7cm touch screen and intuitive control panel help make operating the WF-8510DWF easy and provides quick access to a host of commands, settings and options. 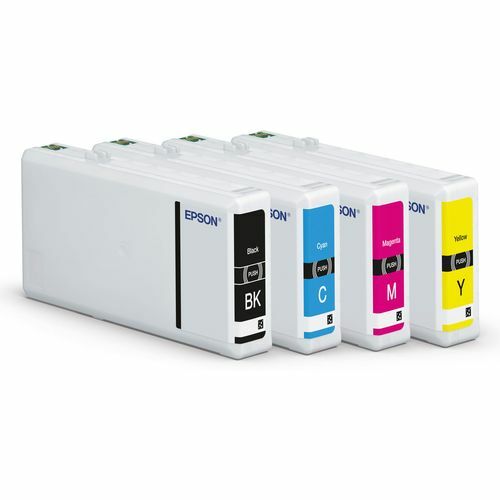 Simple to change ink cartridges make maintenance tasks easier than ever and provide up to 4,000 colour pages per cartridge and an impressive 5,000 mono pages. 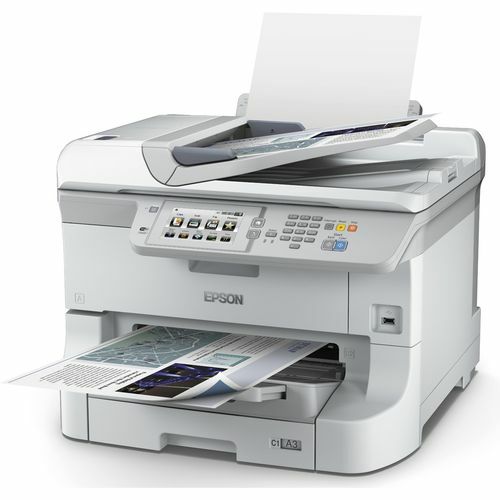 The WF-8590DWF uses up to 80% less power than comparable laser colour printers by using new no-heat technology. No ozone gas is emitted and a quiet print mode reduces noise levels before, after and during printing making it ideal for use in offices. Expandable paper handling allows your print performance to grow with your business by allowing extra capacity up to an incredible 1,831 sheets.